Turner, KG, DI Huang, QCB Cronk, LH Rieseberg (2017) Homogenization of Populations in the Wildflower, Texas Bluebonnet (Lupinus texensis) Journal of Heredity, esx094. Allen, JM, B Boyd, NP Nguyen, P Vachaspati, T Warnow, DI Huang, PG Grady, KC Bell, QCB Cronk, L Mugisha, BR Pittendrigh, LM Soledad, DL Reed, KP Johnson (2017) Phylogenomics from Whole Genome Sequences Using aTRAM. Systematic Biology, syw105. Huang, DI and Q Cronk (2015) Plann: A Command-Line Application for Annotating Plastome Sequences. Applications in Plant Sciences 3: 1500026. Allen, JM, DI Huang, QC Cronk, KP Johnson (2015) aTRAM - automated target restricted assembly method: a fast method for assembling loci across divergent taxa from next-generation sequencing data. BMC Bioinformatics 16: 98. Huang, DI, CA Hefer, N Kolosova, C Douglas, Q Cronk (2014) Whole plastome sequencing reveals deep plastid divergence and cytonuclear discordance between closely related balsam poplars, Populus balsamifera and P. trichocarpa (Salicaceae). New Phytologist. 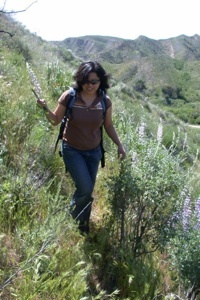 DI Huang (2013) A conservation plan for Lupinus ludovicianus (San Luis Obispo County Lupine, Fabaceae). Rancho Santa Ana Botanic Garden Occasional Publications 13. JM Cruse-Sanders, KC Parker, EA Friar, DI Huang, S Mashayekhi, LM Prince, A Otero-Arnaiz, A Casas (2013) Managing diversity: Domestication and gene flow in Stenocereus stellatus Riccob. (Cactaceae) in Mexico. Ecology and Evolution 3 (5) pp. 1340-1355. DI Huang and EA Friar (2011) Relationships in the Lupinus albifrons species complex (Fabaceae) based on two highly variable chloroplast regions. Systematic Botany 36 (2) pp. 362-370.